Minimum quantity for "Glow stick 6 inch purple" is 25. Glow Stick 6 inch Purple. Product details: Glow stick size: 150 x 10 mm. Packed with 25 glow sticks Purple per foil bag. Includes 25 lanyards / ropes. Glow time: between 6 and 10 hours, depending on the temperature and environment. CE and ROHS reports available at the glowsticks.shop. Packed per 25 glow sticks 6 Inch in the Purple per package. 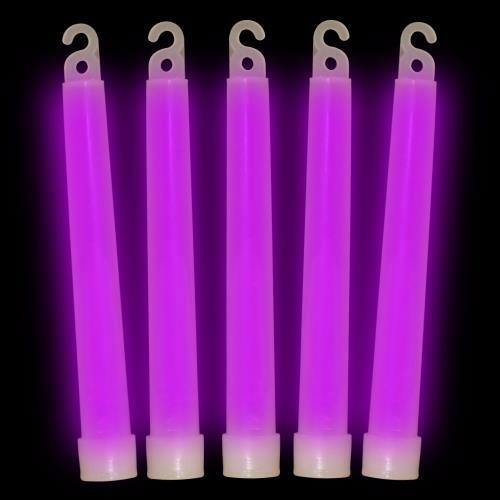 Wholesale of Glow Stick 6 " Purple. Glowsticks.shop is your import and export company for glow sticks and party items. We sell to resellers, wholesalers and events organizations and to a smaller extent for sale prices to private individuals. The minimum order is 1 package of each product.